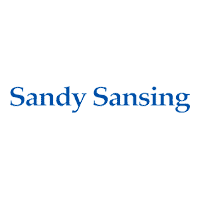 If you’re searching for used cars near , then you’ll want to take advantage of the extensive inventory available at your local Sandy Sansing dealership. We want you to drive home in the used car, truck, or SUV that you feel good about, which is why we thoroughly inspect each and every vehicle to make sure that it is in top condition, inside and out. We want you to get the best deal possible on a used car in the Pensacola area, so we are happy to offer exclusive used vehicle specials, as well as vehicles priced under $10k. Explore our inventory online, then stop by one of our , area locations for a test drive! Ready to drive home to in a high quality pre-owned vehicle? We offer a wide range of cars, trucks, and SUVs from brands such as BMW, Chevrolet, CDJR, Ford, Lincoln, Mazda, MINI, Nissan, Toyota, and more! Our team will guide you through the used car-buying process, and we’ll even be there for you after you leave the lot! You can rely on our service centers to maintain your used car, and feel free to contact us in the meantime with any questions about our inventory of used and certified pre-owned vehicles.